Red Hill came alive last Sunday 8 February, when people of all ages from across the Greek Australian community gathered to celebrate the annual Grape Festival. For ten years now the community has been coming together to partake in the festivities, in what has come to be recognised as a traditional custom. 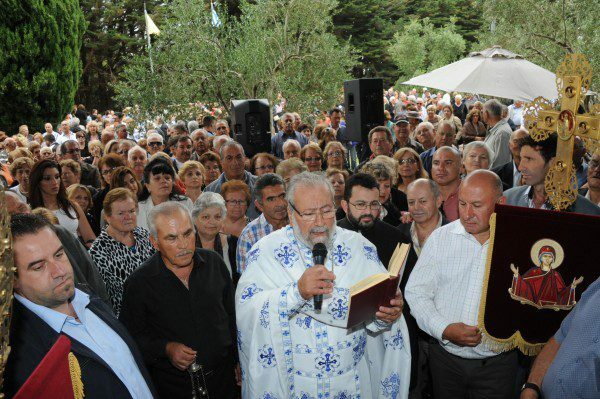 Following a service at the Greek Holy Monastery of Panagia Kamariani in Red Hill by father Eleftherios Tsatsis, boxes of grapes in the church’s courtyard were blessed and shared amongst those present on the day. Α panigiri followed, with festivalgoers enjoying a day of music, dancing, tasty Greek food and of course, the day would not have been complete without wine from the grapes of Red Hill.